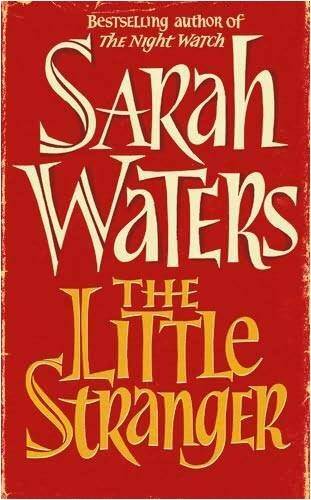 The Little Stranger was written by UK based author Sarah Waters and is hailed as a ghost story set against the backdrop of the fall of the British class system following WWII. The story begins when Dr Faraday is called out to Hundreds Hall to tend to an ill servant who has just started working at Hundreds Hall. The Doctor begins to develop a relationship with the family, and strange things begin to happen from there. 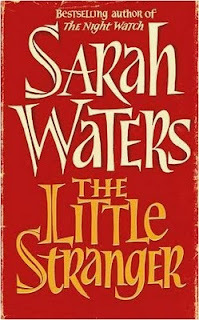 The book takes a while to 'lift off' however I enjoyed the pace and the narrative kept me engrossed from the beginning. The portrayal of Hundreds Hall was enchanting, and I longed to walk through it's gardens and decaying rooms myself. In fact, I think I enjoyed this aspect of the novel the most. I wanted to explore the empty locked rooms, whisper down the speaking tube and ring the servants bells. I couldn't help but find the lead female character a little annoying, as well as Dr Faraday, however this didn't distract me from enjoying the book as a whole. I don't believe this novel works strongly as a 'ghost story', however the mystery certainly kept me quickly turning the pages in suspense. I was working up towards a climax and hoping for a Koontz or King moment towards the end, but was unfortunately let down. The end of the book is a little controversial and for those that enjoy an ambiguous ending, you'll love this book. It's fair to say I rarely enjoy an ambiguous ending to a novel or movie, and when I finished reading the book I instantly started scanning the internet for different opinions on the ending. I would recommend this book to those who enjoy the 'softer' side of a ghost story or a novel with a paranormal sub-plot, and those who enjoy a thought provoking and ambiguous conclusion.